Testimonials are one of the best ways to validate your products/services, especially if it’s from a contractor. Don’t be afraid to ask as most are more than willing to participate. Once you get them, make sure to repurpose them in several areas. Put it on your website; if you have a blog, do a post. If you’re on social media, share a link. Do project profile sheets that your salesman and distributors can use in the field. Third-party validation is a powerful tool for new business. Testimonials help to eliminate skepticism, provide credibility and trust. If done correctly, it’s one of the easiest and most effective ways of creating appeal with potential contractors. Prospects are more likely to believe testimonials that are attributed to a specific person and company than those that hide their identify. I’ve found that most happy clients are glad to provide a written recommendation and are willing to have their name attributed to the testimonial. 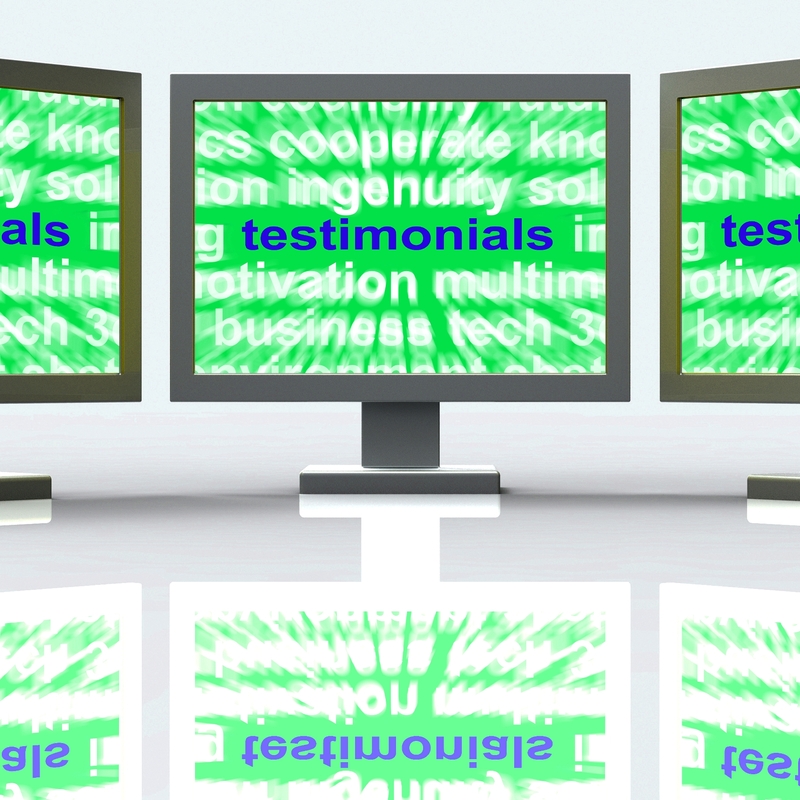 Provide testimonials on your firm’s website, your online brochure. They should be used anywhere and everywhere on your site. Not just on a testimonial page. Also include them in other materials used to promote your company. The more places potential clients can see them, the better. An easy way to request a recommendation is through LinkedIn. You can ask your connections to write a recommendation of your work that you can display on your profile, and with their permission, you can add it to other materials used to publicize your company. LinkedIn is also a great place to give testimonials in order to get testimonials. Whenever you receive a great letter or e-mail from a client, be sure to ask them if you can use their comments as a recommendation. Adding pictures to testimonials can significantly increase interest and raise their CTR. Don’t neglect to create some select video testimonials. These are much more personal and powerful than just written copy. Good testimonials are filled with benefits. That’s what prospective clients are really looking for, how your services benefit them. When asking for testimonials, give your clients clear instructions on what you need. Make them as specific as possible. I’ve found that setting up a Google Alert to receive daily emails of who is talking about your company is a way to discover additional testimonials. If you aren’t using testimonials, you’re missing out on a simple, but great tool for new business. Do you have any additional tips to share? Please add them in to the comment section below. Getting a recommendation from LinkedIn contacts is something I would have never thought of. Since the site is used for business connections, it would definitely be a lucrative place to gauge someone’s reputation. Thanks for sharing the tips!